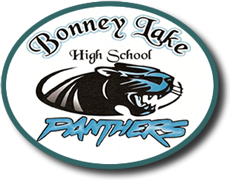 Pride and the City of Bonney Lake. Fun Run through the neighborhoods around Lake Tapps. Vendor fair after run. Course starts and finishes at Allen Yorke Park in Bonney Lake. 100% of the proceeds will benefit the 2019 BLHS Senior Night Grad Party - an event designed to keep graduates safe after graduation. The final date to register to receive a shirt is April 15, 2019. Come dressed in your favorite decade outfit - or the decade you graduated high school! This is a fun decade event - with costumes encouraged! Prizes will be awarded for the best costumes! so they can attend a "safe and sober" senior night.